Jazz Band is having a great year so far! The Jazz Combo started early in the fall, performing at the Australian Embassy for the Family Day Picnic, at Tokyo American Club for the annual art show of the College Women’s Association of Japan and to open the assembly presented by ASIJ parent and guest speaker William H. Saito. In October, ten Jazz Band and two Vocal Jazz Ensemble students headed to Beijing with Randy Wanless and Julianne Bosch to the AMIS Honor Jazz Festival for a week filled with intense rehearsals, a bit of sightseeing and two final performances. Jazz Band presented concerts and assemblies on campus in November and January. The January concert featured guest trumpet artist Takahiro Ninomiya playing with the Jazz Band and in his solo version of “Over the Rainbow.” Both concerts may be viewed and/or downloaded at ASIJ TV. 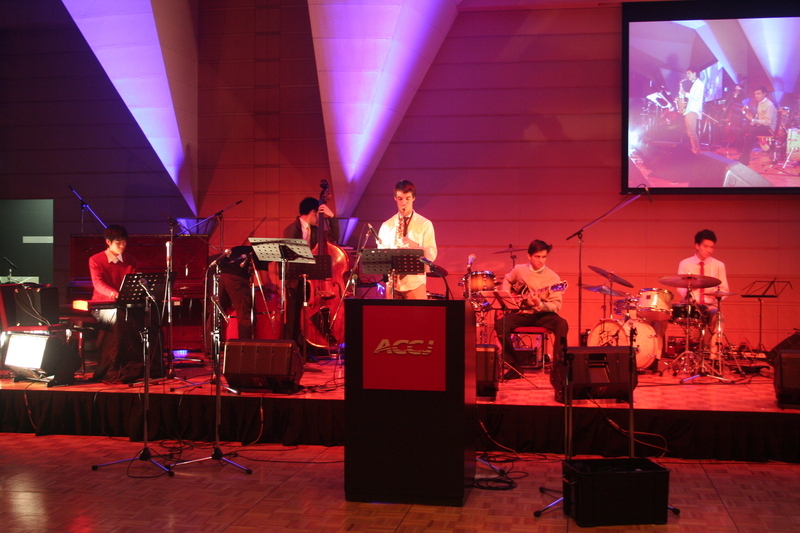 The Combo performed downtown in December for Corning’s Christmas party, at the Conrad Hotel in January for the Australia Day Ball, at the Cerulean Tower Shibuya for Mylan’s Corporate Reception and as the only high school invited to perform at the Nakanobu Jazz Festival in February. These real-world engagements are invaluable for the growth of our students. The Jazz Band then jumped on a bus and headed to St. Mary’s on January 28th for this year’s Kanto Jazz Fest, where we entered in two combo categories and performed together as a Big Band. We learned so much from the comments of the professional adjudicators and from their quartet performance, which capped off a great day. Videos of these performances can be viewed at our Vimeo Early Fall Jazz Channel. 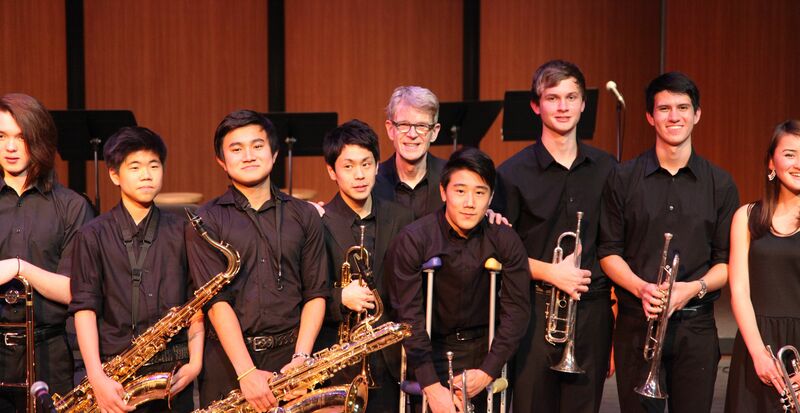 On May 16, the Vocal Jazz Ensemble and Jazz Band presented their third concert of the ASIJ season. The ten Vocal Jazz Ensemble seniors and 14 Jazz Band seniors were featured throughout the evening. Performances can be viewed on ASIJ TV. The next day one of our combos performed at the Australian Embassy, while having the opportunity to enjoy some great Aussie barbecue. 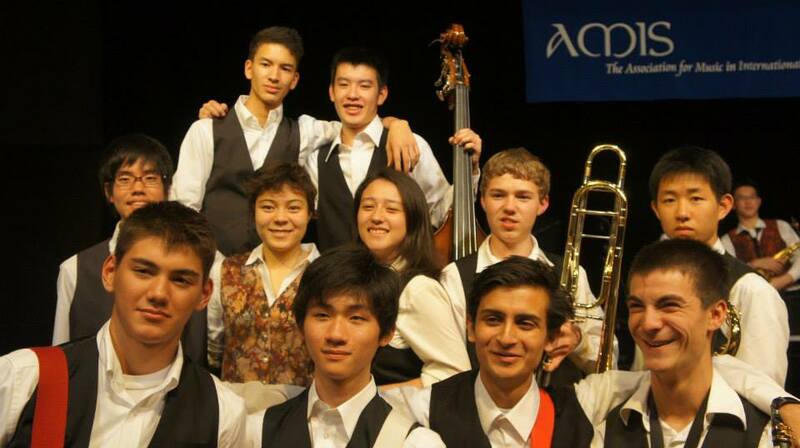 The ASIJ Jazz Band and combos have been playing around town! We’ve had a very busy fall, with the chance to play for some very special groups from universities to an event welcoming the new US Ambassador. Wednesday, October 19, one of our combos entertained at the opening of the College Women’s Association of Japan’s annual art show (see video below). 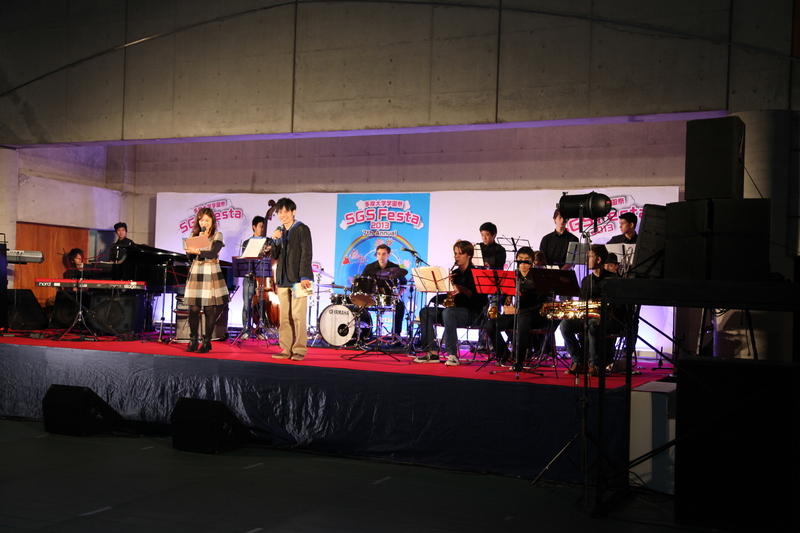 Saturday, November 2 the Jazz Band performed at Tama University for their annual fall festival. Then on November 20 one of our combos enjoyed playing for ASIJ’s Board of Trustees Annual meeting. Following this, on November 30 another combo played for the American Chamber of Commerce of Japan at Tokyo American Club, where they had the honor of performing for the new US Ambassador to Japan, Caroline Kennedy.